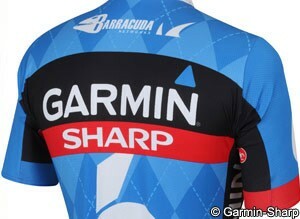 Having gained the admiration of Jonathan Vaughters with an aggressive ride in the recent USPRO championships, Phil Gaimon’s near miss on a title there has been more than compensated by the news that he has secured a contract with Garmin-Sharp for the 2014 season. The 27 year old American rider has competed with the Kenda and Bissell Pro Cycling teams in recent years but will now have the chance to step up to the WorldTour level with a team he said that he was always interested in. “I started racing [in 2005], then got my Cat 2 upgrade just in time to compete against guys like Ian McGregor at U23 nationals, where Tyler Farrar was second,” he said. “He was riding for the team when it was Team TIAA-CREF, and I remember thinking that looked like a cool team to ride for. Gaimon has been based in the US until now but has picked up good results there, including victory last year in the Redlands Cycling Classic. He was also TT winner in the San Dimas stage race for the past two seasons, and was second in this year’s Tour of the Gila behind Philip Deignan (UnitedHealthcare). He picked up victories on a stage and in the overall of the Merco Cycling Classic, and is looking forward to stepping up a level. “I know I'm ready now, I'm excited to set new goals and see what I can learn in the big leagues,” said Gaimon. Garmin-Sharp recently signed Olympic Omnium champion Lasse Norman Hansen, and is expected to make further 2014 lineup announcements as this season progresses.